We spent yesterday at the Evergreen Space Museum. It was one of those days when everything goes according to plan. Don't you just love those? It was an early morning for us (we're late risers), but Russ and I got to wake up the boys together and have a cuddle-fest. Everyone got ready quickly, and we headed out (and Russ to work). My angel mother offered to watch Leif for the day, so we dropped him off and headed over to Holly's to pick up her clan. The sun was shining, the drive was delightful (through the countryside, vineyards galore), Holly and I chatted, and the middle row of three children was silent the whole way. Ilex sat in the back between Luke and Levi (both of them with their heads on her shoulders), reading The Secret Garden with a Yorkshire accent. The whole way. Utopia. We ate lunch outside in the sunshine while the kiddos got all their energy out on the awesome play structure. We headed back inside for a presentation inside an inflatable planetarium. What fun! 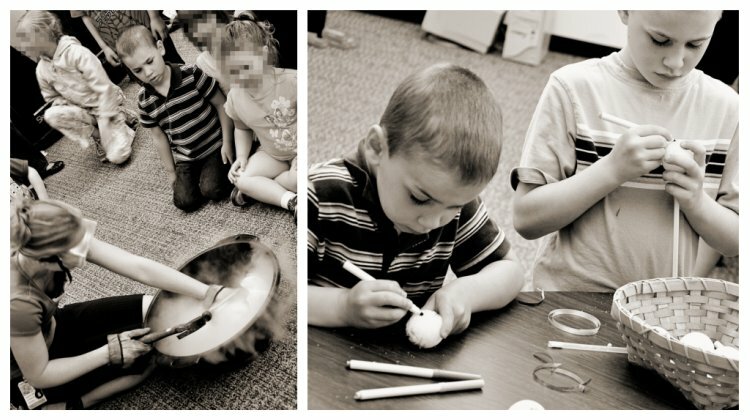 We then learned a little more about comets and then made some crafts. The classes ended a little early, so we had time to browse the Space Museum. It was incredible! Huge. Beautiful. First class. We made the return drive through the sunny countryside, listening again to Ilex's Yorkshire accent. Ahhhhhhhhhhh. OH how wonderful for the kids to have an opportunity like this. As always, love your pictures. what a wonderful day! the museum looks awesome! Evergreen is the best! We went for the first time this spring and loved it, though I don't know that Bug got much out of it (being 3.5.) Our kiddos were disappointed to miss the playground (due to the weather), so we hope to make a return. Glad your boys got so much out of it! Hey, you were up near my neck o' the woods! :) Well, I'm about 40 minutes north, I think. 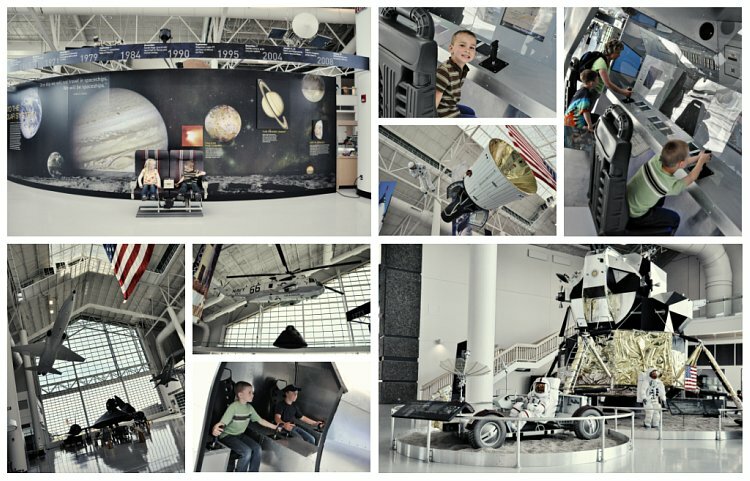 We've only been in the aviation building a few times, but haven't enjoyed the space museum (or IMAX) yet. Glad to hear it's nice too! 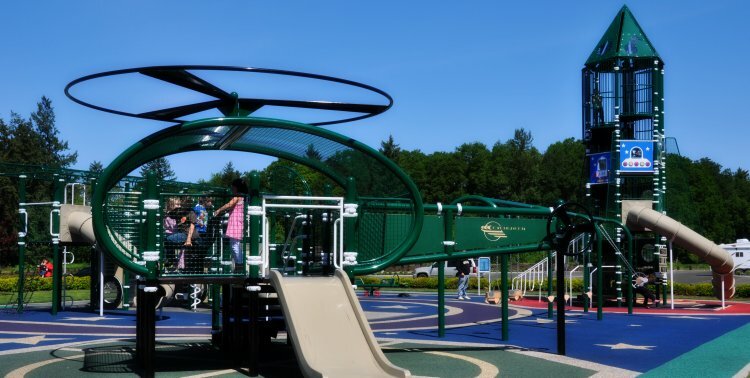 And isn't that play structure just the best? I was so impressed by it. :) So glad you had such a terrific day! What a cool place and a great day! I bet your boys just loved it!